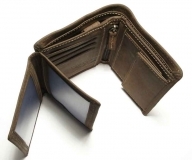 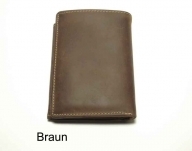 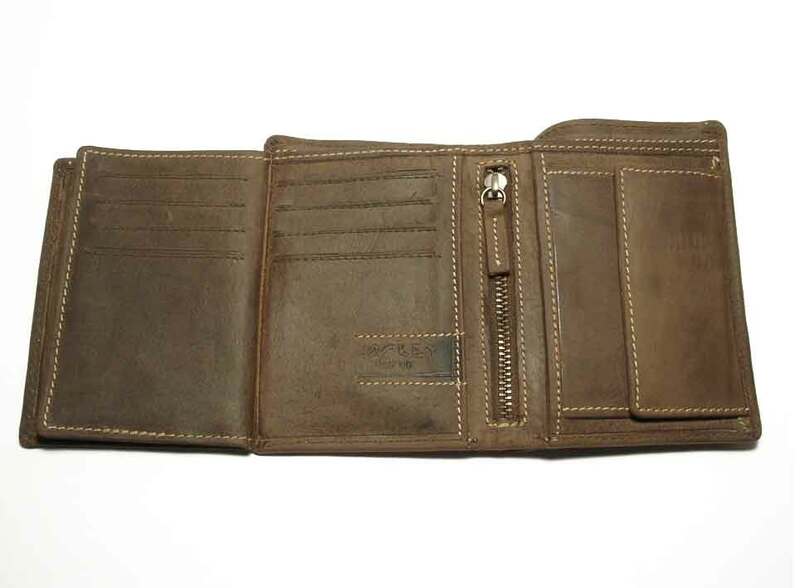 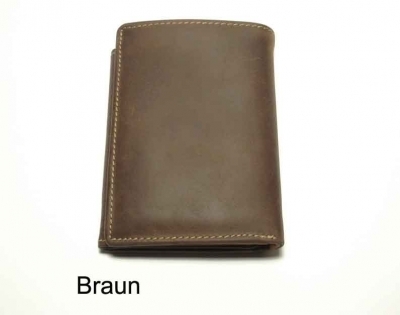 This wallet is made from oiled, nubuk cowhide with contrast stiching and is approx. 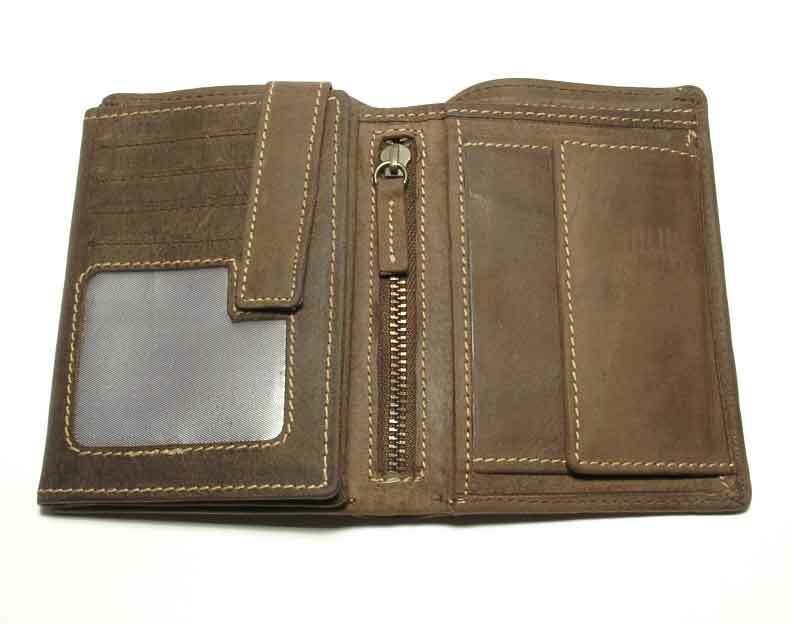 10cm wide and 13cm high. 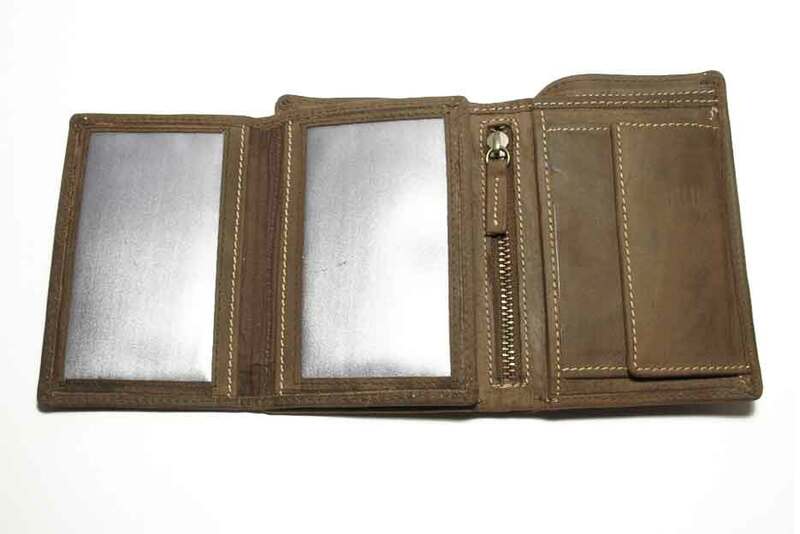 The wallet has a vertical format and features a coin pocket with a slot for a shopping trolley token (included), 2 note compartments, 11 credit card slots, 2 transparent ID sized pockets, a further 2 ID sized pockets and a zipped middle compartment, as well as a smaller transparent compartment (e.g. 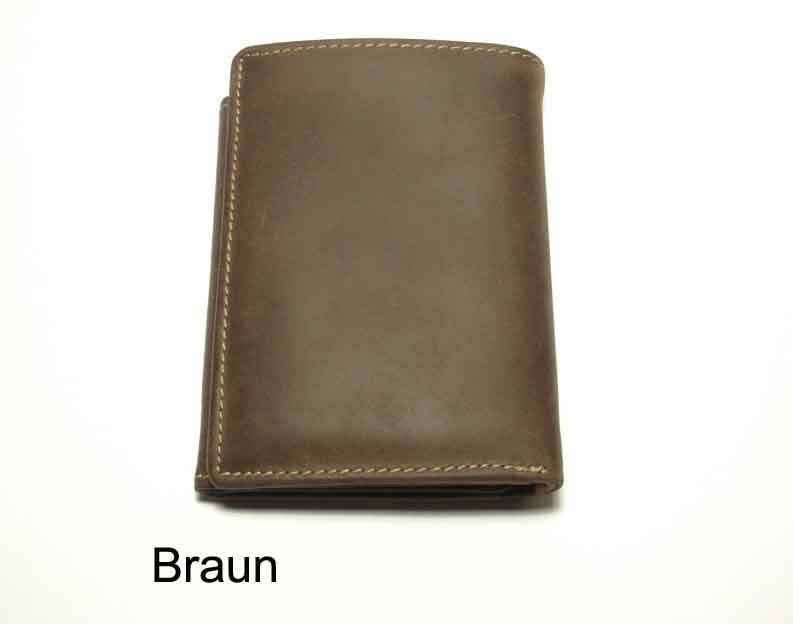 for photos). 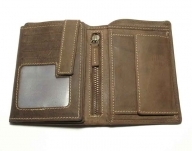 The credit card slots have additionally been stiched for extra strength and the slots together with the ID pockets can be secured by means of a press-studded tongue flap. 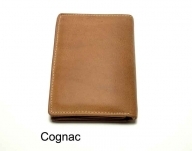 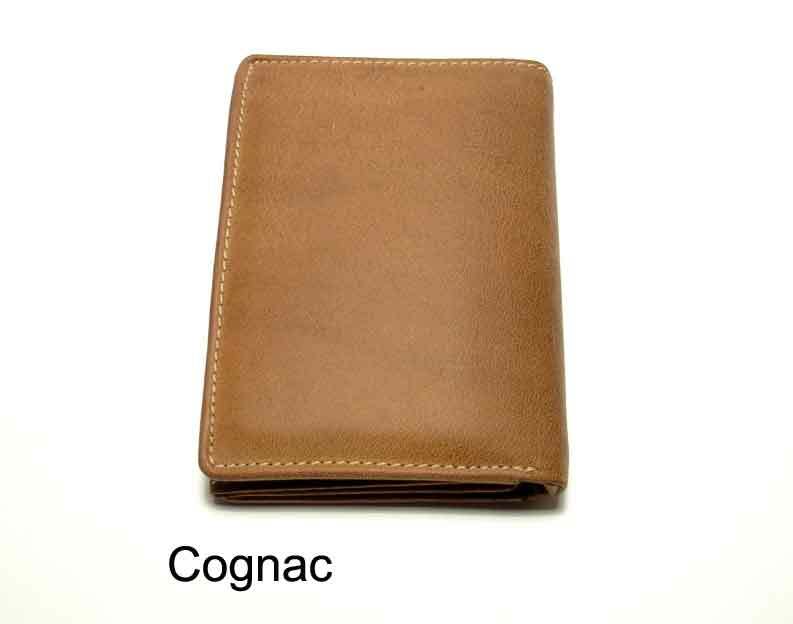 The antique look is enhanced by an oiled nubuk leather finish and the wallet is available in tan and dark brown.